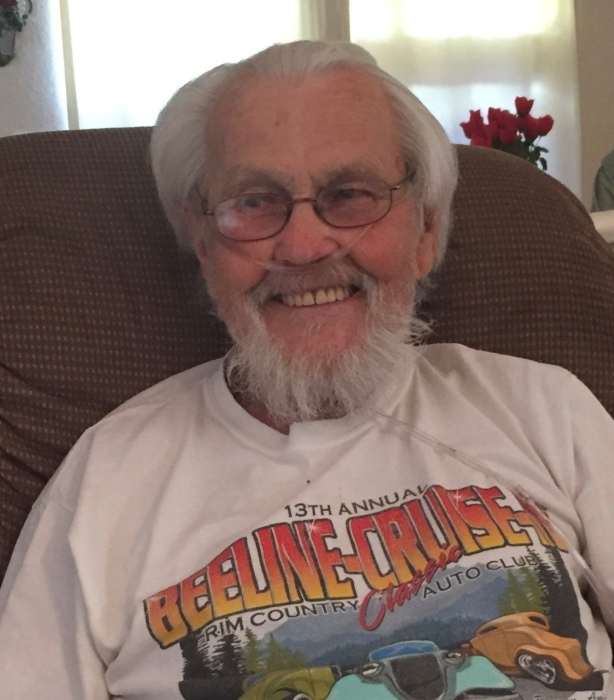 Harold Eugene Powell, 82, of Payson, Arizona passed away January 20, 2019 at his home, surrounded by his family. Harold was born June 25, 1936 to Oscar Harman and Mae Elizabeth Powell in Peoria, Illinois. Harold lived over 30 years in Stockton, California and worked for Industrial Rubber in excess of 30 years before retiring to Arizona. He served in the United States Air Force from July 14, 1954 to March 16, 1958. Harold was preceded in death by his wife, Lorraine, his parents, 1 sister and 2 brothers. He is survived by his daughter Patricia McKinney and 2 grandsons, Jackson and Harrison McKinney. Harold will be laid to rest at the Lodi Memorial Cemetery in Lodi, California.